An article in the Friend (25.07.14) by Glen Reynolds is summarised here. 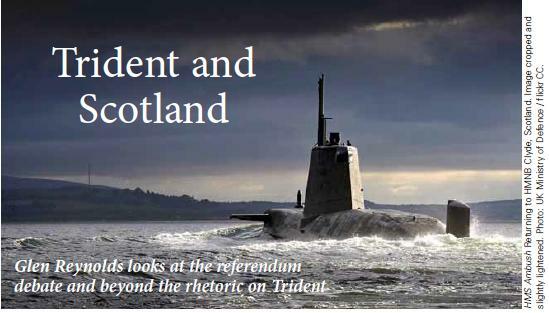 It looks at the referendum debate and beyond the rhetoric on Trident – ‘an affront to basic decency with its indiscriminate and inhumane destructive power’. The idea is that the ‘peace dividend’, or money saved, would be allocated to Scottish shipbuilding jobs on the Clyde, with diversification between civil and military defence projects away from a nuclear focus and towards social welfare projects, not least in times of austerity. “Put the politics to one side – it is about a growing realisation of a prospect of changing values. It is about taking the opportunity to make the profound and transforming choices that impact on what Scotland is, how it is perceived in the world and how it stands proud to strive for social justice in the twenty-first century. It is about the practical evangelical witness it makes. “The value system around the Trident debate encompasses what, for me, is a profound change towards a different system of values and social policy to be found in the decision to opt for independence. It is about how you engage with the world as your neighbour”. In the referendum debate, the ‘No’ campaign refers to the UK’s ‘independent’ defence policy: but who has ultimate control? The system is certainly not British: the fifty-eight Trident II D-5 ballistic missiles operated by the royal navy (from four vanguard-class submarines) are American. The USA makes them, US-designed electronics and computer programmes are embedded in every aspect of the Trident system, America owns the software patents, licences, maintains them and provides the satellite intelligence to target them. 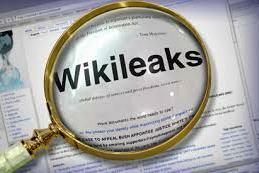 According to a US diplomatic telegram released by WikiLeaks, Barack Obama handed over the unique serial numbers of the UK’s missiles to the Russian security agencies as part of an arms reduction deal (despite the strong objections of HMG). 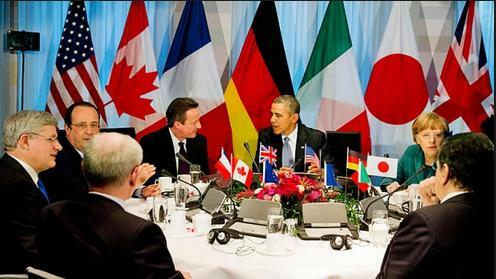 Many regimes may now know exactly what we have and what it can do. This means that the system has little deterrent value and intelligence agencies all over the globe must know this. Trident does not protect us now – even if it once did – and Scotland could demonstrate its new social policies better by spending this money more wisely. This is just one recent example – investment could take place in education, jobs and welfare in Scotland, and wherever it is needed most. Glen is a Franciscan minister within the Secular Franciscan Order, and a member of the SNP. For the last fifteen years he has been the legal consultant for the Campaign Against the Arms Trade (CAAT). Posted on July 31, 2014, in Democracy undermined, Government, Lobbying, Planning, Vested interests and tagged Barack Obama, Coastal protection, Cost of Trident, Glen Reynolds, Illegal wars, Inland flooding defences, NATO, Shipbuildingon the Clyde, The Friend, Trident nuclear weapon system, Wikileaks, Yes campaign. Bookmark the permalink. Leave a comment.